Last night I finished my first (?) 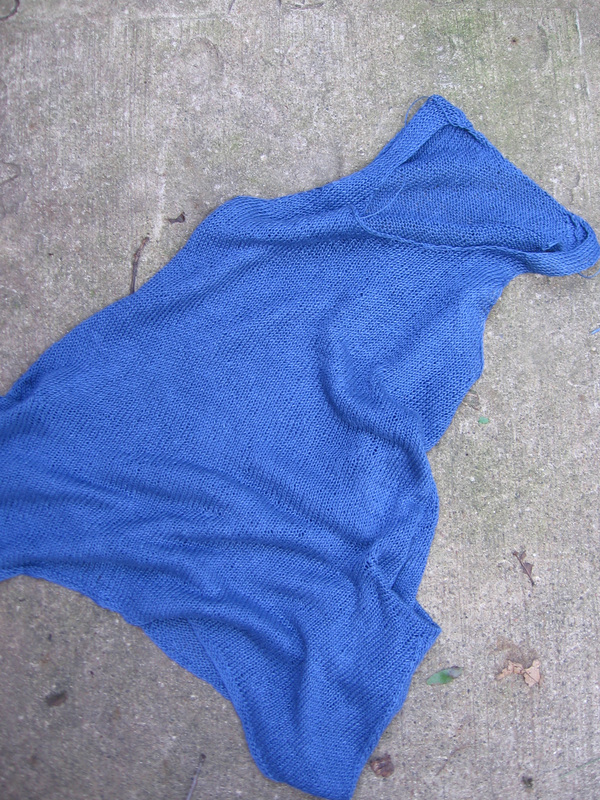 tunic (liesl from cocoknits.com), sewed in most of its ends (not for the shoulder seams as I wanted to make sure that I liked the armhole length) and blocked it. I washed the garment in wool wash, and then pressed most of the water out onto towels. I have been dehumidifying my house the past few days (it is super humid here and I don’t have air conditioning) and so I left the tunic to dry under the dry hot air stream from the dehumidifier. The pockets are my favorite part. 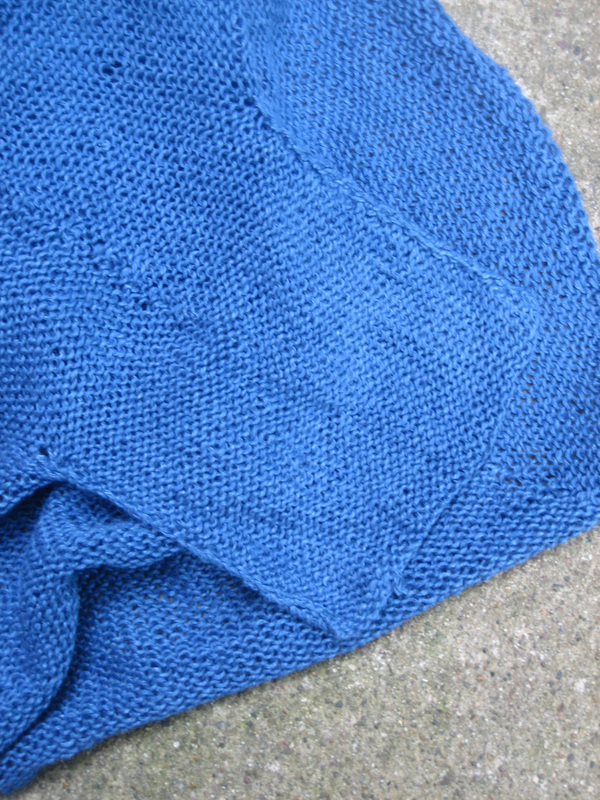 I worked about 9 or 10 inches of the bottom, and then using a smaller needle, knit back and forth on the pocket stitches (about 30 on either side). 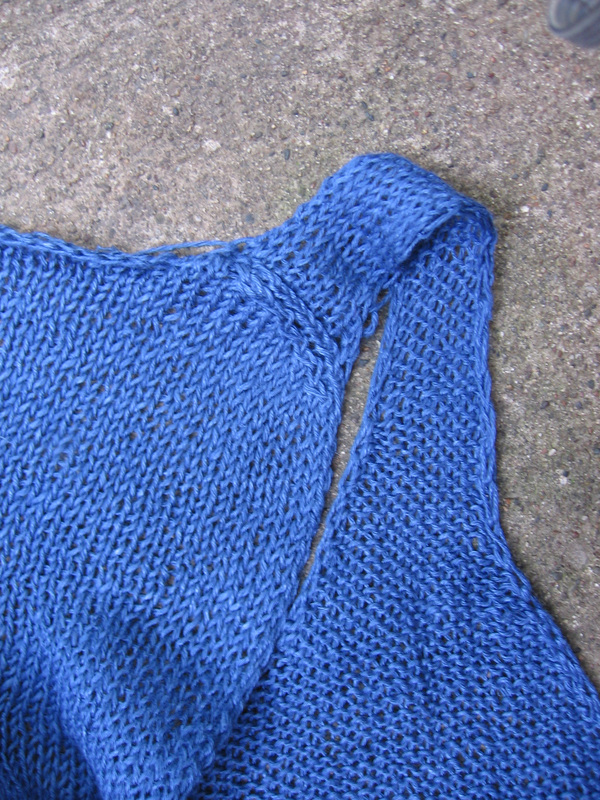 After a while, I picked up the original garment and continued knitting. 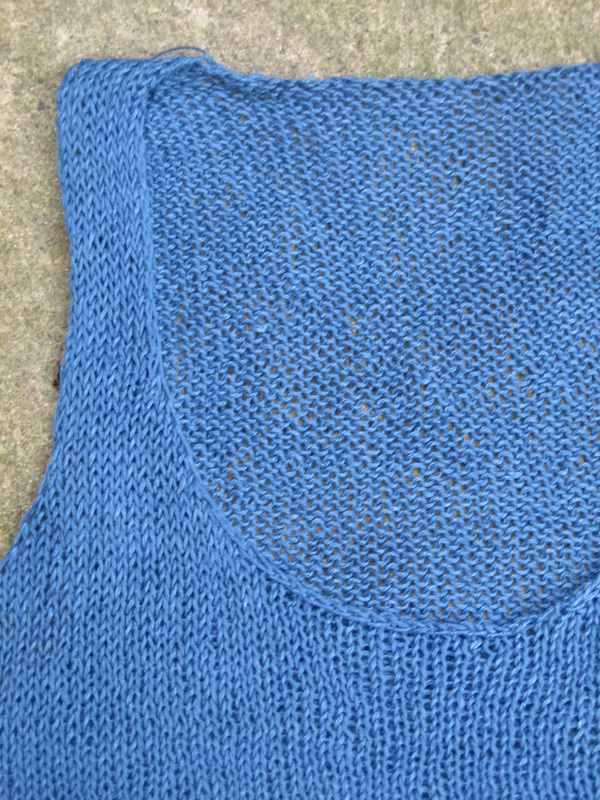 Around the neckline, the pattern called for using a diagonal bind off, which created a beautiful continuous line (no need to go back and pick up stitches!). 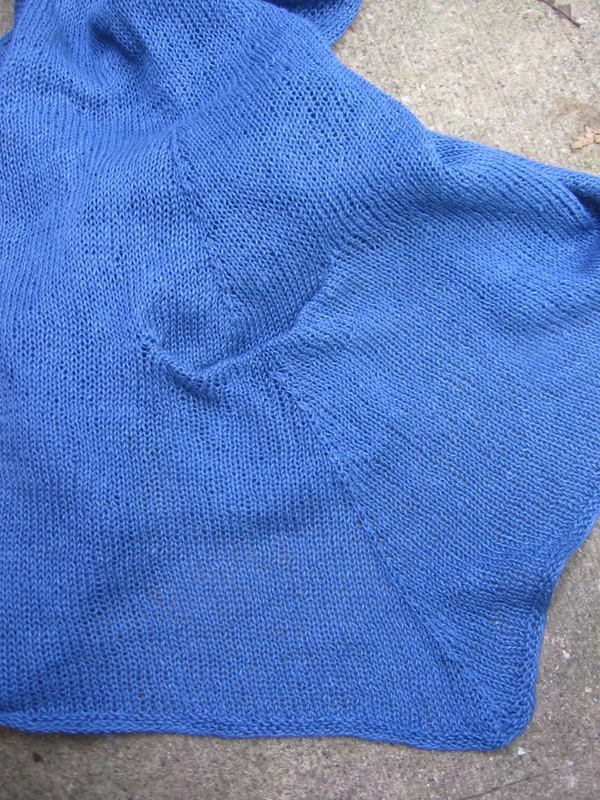 The front straps reach around to the shoulder seams, which rest on the back of the garment. 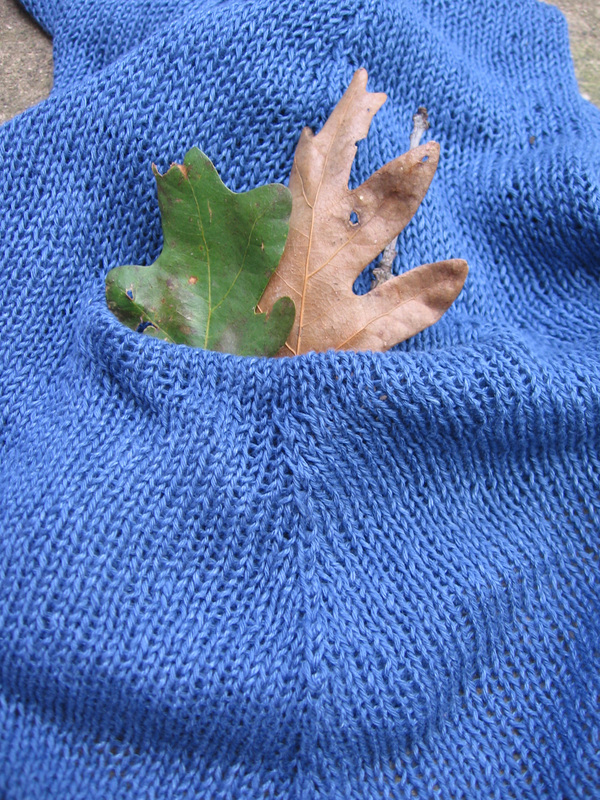 The yarn is Louet Euroflax linen, sport weight, in french blue. One of my favorite yarns, one of my favorite colors.